Prize Pool Overview The International 2018 – TI8 – Dota 2 again with a new Record? Five years ago the prize money was “only” $2,874,407, which was by far the highest endowed tournament at the time, but not even among the top 10 of the highest prize money today. 2014 was the first record year this system really started to work and so The International's prize money raised to $10,931,103, the first tournament to exceed the $10 million mark. 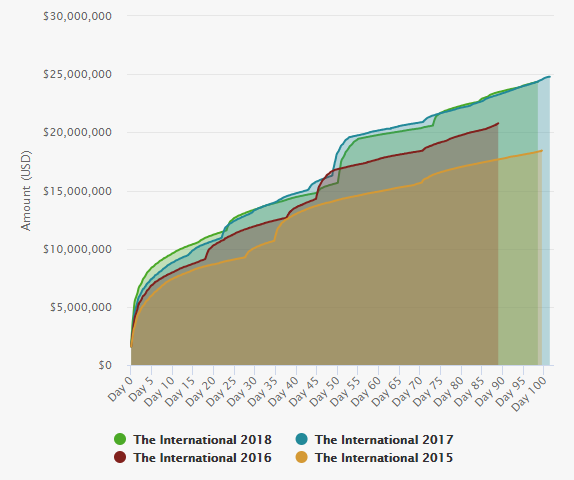 The TI's prize money raised more and more, not least because the size of the battle pass has increased massively compared to previous years. In 2016 the increase was not so gigantic any more but it was nevertheless sufficient to just exceed the 20 million dollar mark. The final prize pool 2016 was $20,770,640. 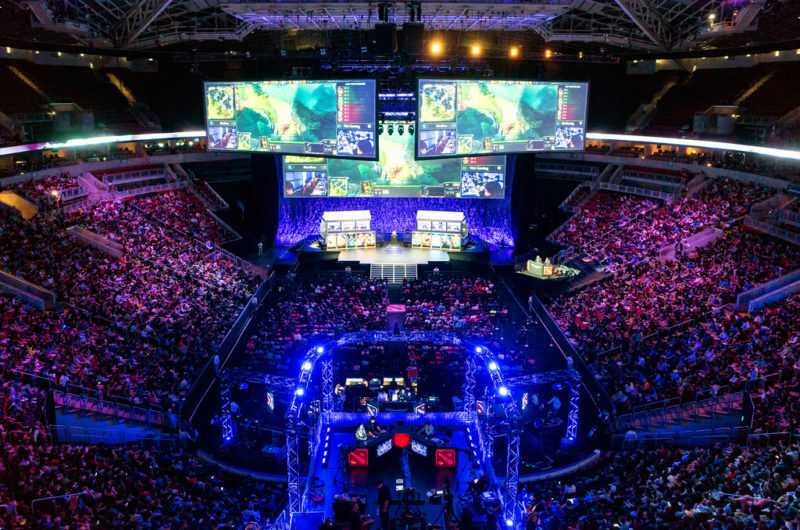 Whereas the TI7 broke all records – a whopping $24,787,916! We remain curious where the prize money will develop in 2018. Here is a list of the cumulative prize money of the five most popular competitive game titles. 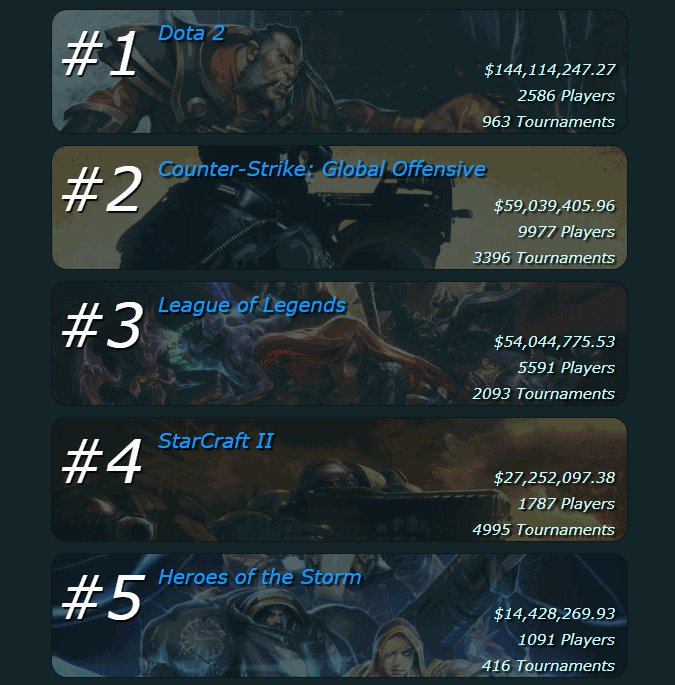 Already in the listing we see that Dota 2 leads the table far. The international tournaments, which make up the major part of the prize money, are of great importance. The prize money is distributed most fairly at League of Legends, which have introduced a kind of minimum wage for their tournaments. CS:GO, with its sheer number of tournaments, will also receive considerable prize money. Starcraft leads the table in the sheer number of tournaments, as Starcraft is one of the oldest eSports titles and has inspired millions of fans for decades.